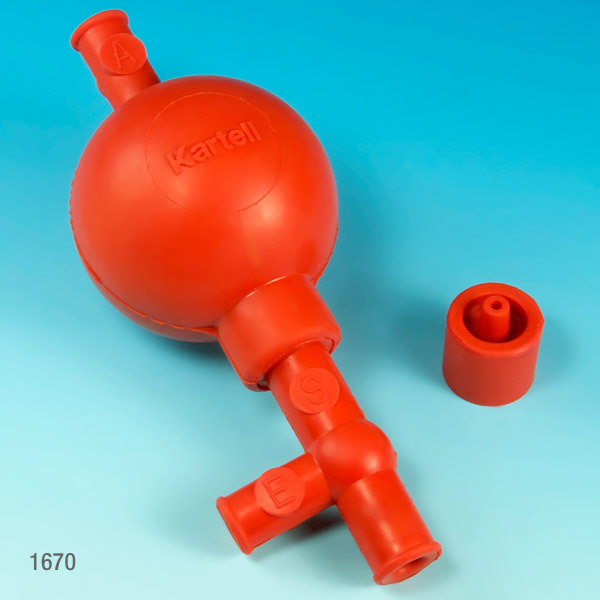 This molded rubber bulb comes equipped with 3 glass ball valves which can be controlled by finger pressure. There are not metal parts to corrode and the filer can be used with most common solutions. Comes supplied with an adapter for pipettes with capacities more than 20mL. 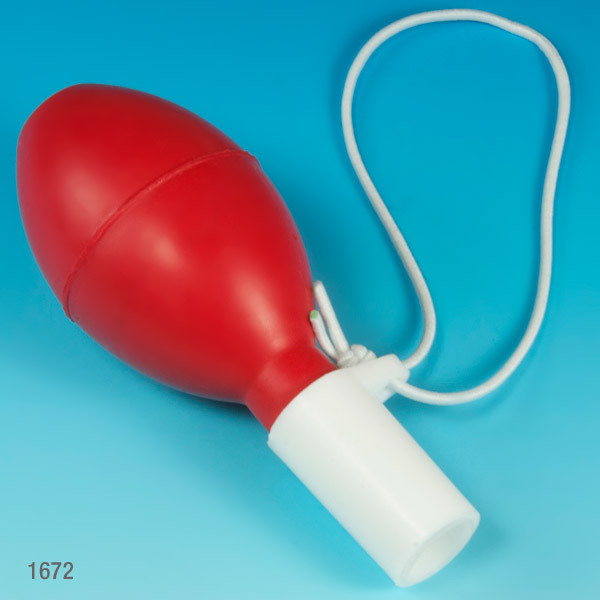 This universal safety filler bulb features a silicone conical adapter that grips the pipette without twisting. To eliminate the risk of cracking or chipping, the pipette will never come in contact with the hard plastic. The elastic band is supplied for hanging on reagent bottles and or wrist. This pipette filler will fit standard sized pipettes.